I talk about starting small frequently in this blog. I really believe for some people starting small is the way to go. Even for ME! This weekend I walked into my bedroom and looked around and it was a mess! I have a nice big bedroom and part of it is my home office. So my desk and shelves were messy with papers and receipts. I had a busy week of work (thank the Gods! )and each night hadn’t kept up with my organization. In one corner I had a pile of clean clothes on a chair that I hadn’t folded and put away. Another corner was a pile of garden supplies that I had bought earlier in the week. I was going to work in my garden at some point. Midweek I got the urge to paint! Yes I paint (I hope to have an art show in 2015.) I had all of that set up in my room. A table of art pieces drying and in various stages. The bins of art supplies out and open. So yes my room was in disarray. I NORMALLY don’t let it get to this point, but this time of year gets REALLY busy for me and I have lapses. They don’t last long but they do happen. I AM human like everyone else. SO I look at my room and know NOT to get overwhelmed! I am trained to know that getting overwhelmed does not help anything. My BIGGEST piece of advice to any of you facing a really messy, cluttered or disorganized space is: Take a deep breath. Don’t get overwhelmed by it. And pick a spot and start small. I don’t know why starting small gets a bad rap or is easily dismissed. When we talk about toddlers taking baby steps, isn’t it a good thing? Does it not lead to walking? For me its a psychological thing, to take start small can feel more manageable. If you accomplish (finish) sections or spots or spaces or even a pile, then you feel good. When you feel good, then you may be more likely to want to continue. It is easy to look at a big thing (for example a messy cluttered room) and get discouraged and NOT take action. So when I suggest starting small, I’ve had people ask me if that’s a bad idea. They’ve been drilled with having to “go big or go home.” Or filled with the notion that starting small is somehow an inadequacy. I feel that we took step away from worrying about the end result. 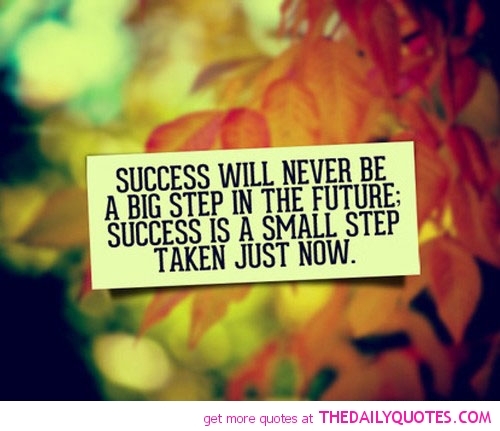 Though I believe in looking at the big picture, it’s the small steps to get there that is the bigger deal. 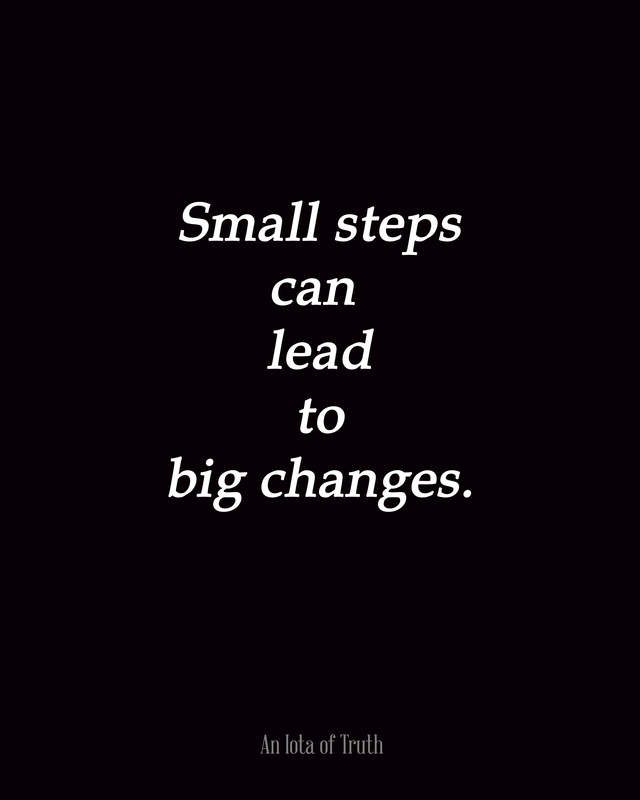 Take those “baby steps”. You will end up “walking” down your pass of success.